When I was in my early twenties I spent a night at the house of a friend’s parents in the mountains near Lake Tahoe, CA. I had been to Tahoe plenty of times as a kid on vacation with my parents and was familiar with the sights and smells and always enjoyed our vacations in rental homes and cabins. But this specific trip to the mountains as a young man had an impact on me. The clean crisp morning and night air, the smell of the pines, and the beautiful scenery resonated at an emotional level. I told myself that one day I would live in the mountains. 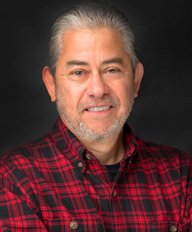 Fast forward many years and now after 30+ years of happy marriage, a successful professional life, and having raised three children with my wife Holly, as empty nesters we find ourselves living in the Sierra Nevada Foothills in a town called Tuolumne. A dream come true ? Fate? Maybe a little of both. A close friend of mine asked me how we found this home that sits on five acres covered with pines, oaks, and cedars. My answer was simple: I didn’t find the home, it found me and I call it “The Golden K”. 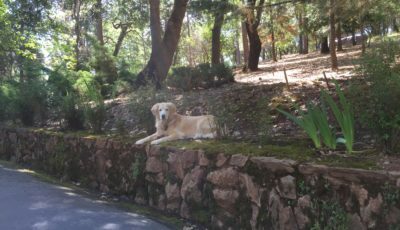 Two years ago Holly and I adopted a Golden Retriever from a rescue group in Northern CA, called True Love Rescue. 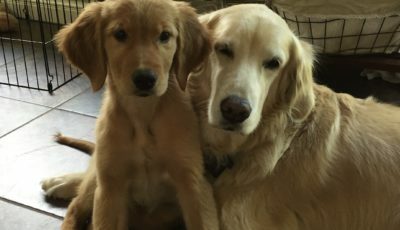 This dedicated group of volunteers parter with rescue groups in Taiwan to rescue and rehabilitate (mostly) Golden Retrievers and connect them with qualified and dedicated families in Northern CA. We named our rescue Kali. Within days (hours?) of joining our family Kali adjusted to our home, our lifestyle, and her new environment. It was and is a remarkable example of how adaptable dogs are when placed in a loving environment and given the opportunity to serve and please. Over the past two years our lives have become as much about Kali’s life as our own. Kali’s needs have become intertwined and harmonized with our own. Dog lovers reading this will understand how enriching and rewarding it can be to have a intimate and close relationship with a canine companion. As we began getting serious about moving we decided that once we were settled in our new home we would adopt another Golden. True to Holly and my nature we jumped the gun, accelerated plans, and adopted Kloe – another Golden and this time a puppy – three weeks before our move date. Some would say were were crazy to undertake moving a household from suburbia to the mountains at the same time we were socializing and house breaking a nine week old puppy. But thats how we roll. When Holly and I are on the same page -which is most of the time – we’re a force to be reckoned with. When romanticizing the idea of living in the mountains I wanted needed to personalize our mountain retreat and home with a name. It didn’t take long before coming up with the Golden K as a tribute to Kali who has shaped our lives in so many positive ways over the past two plus years. And also for puppy Kloe who has the unbridled passion and enthusiasm for life that one would expect from a puppy. Kloe like her big sister Kali has quickly become another critical fiber in the fabric of our lives. Our new lives and my romantic perspective of life at 310o feet.